Celebrating Over 60 Years of Selling Real Estate. Growing up as a fourth generation Bainbridge Islander, I have a strong sense of leaving a positive footprint here for my children that will coincide with the fond memories I had as a child living here. My background is in corporate sales and sales management and for 13 years real estate sales& leasing. I have deep established roots in the community and have dedicated my career to serving my clients while at the same time making a difference with everything I do. All of my business dealings and relationships are always conducted with integrity, honesty and a passion for making people’s lives better. As the owner and Designated Broker, I have been involved in virtually all facets of real estate brokerage for over 35 years. It remains an exciting, hands on business for me. I take pride in being available for any office client. I’m proud of my agents; their backgrounds and dedication to providing the best service possible for our clientele. And, I’m proud to continue the company’s tradition of high quality real estate brokerage for over 60 years. At any given time I am usually involved in residential, commercial, and development transactions. Whether it’s locating the perfect family home or a viable investment property, I have the background and expertise to guide the transaction to a successful close. 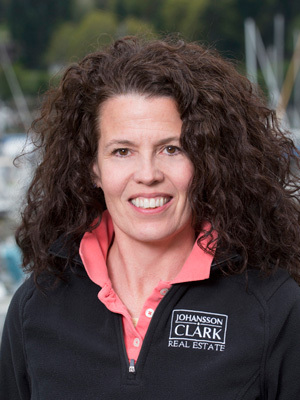 I joined Johansson Clark Real Estate in 2011 after close to ten years working as a RE/MAX Broker eventually running the Poulsbo office. 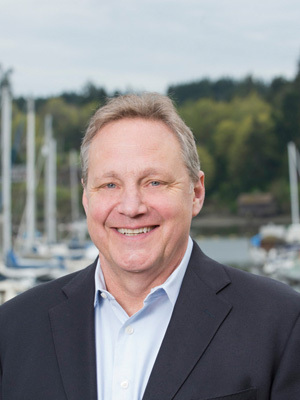 I bring the experience of working with one of the largest firms in the world to Kitsap County’s oldest firm. I enjoy the nimbleness that our independent, local office can provide our customers. I pride myself in helping customers get the very most for their money. I specialize in residential sales, investment property, vacation property and first time buyers and sellers. I’ve have made it my personal goal to serve my clients with integrity and thoughtfulness. I listen to their concerns and make a point to gather the information needed to make an educated decision whether purchasing or selling a home. I consider myself both a high tech and high touch Broker using technology when necessary and always keeping in mind how personal home buying and selling can be. It’s my commitment to ensure you will have a positive experience. I have extensive experience in real estate and have been a manager in Corporate Relocation for the largest Coldwell Banker in the world with annual revenues over 9 billion dollars. My abilities to reduce confusion and stress through knowledge and customer service will make the most important transactions you will undertake seem virtually seamless. Commercial Leasing – Tenant/Landlord Negotiation. Sales, Marketing and the Deal. 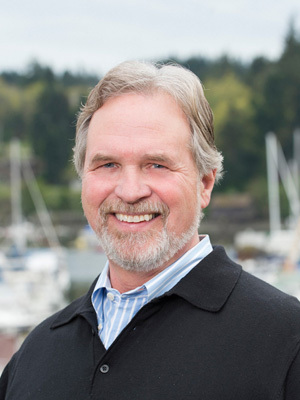 I have a deep understanding in how to do business located on Bainbridge Island/West Puget Sound. Global companies locate here for the great “Quality of Life” for both the owners and employees. I have a complete commercial availability list compiled and ready to share with agents and business owners. 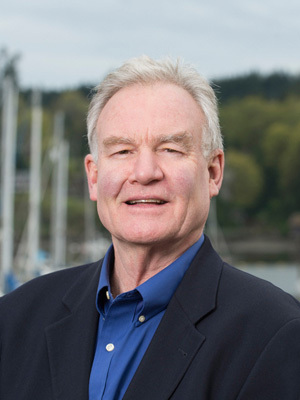 I am a Real Estate Managing Broker, Leasing Agent, Property Manager, Building Owner, and Landlord serving Bainbridge Island and Kitsap County. For over 25 years I have acquired an abundance of transaction skills in both Residential sales, Commercial sales, and Leasing. If you have an interest in a particular property that’s not listed, I probably know the Owner. 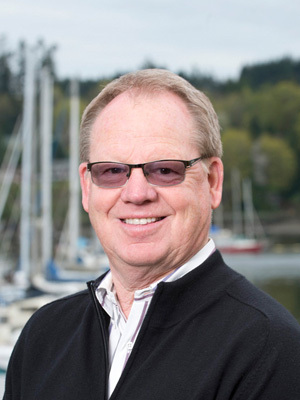 As a third generation Islander you might say I have seen and experienced some changes and growth on Bainbridge Island. As a kid I picked strawberries in the fields where Meadowmeer is now located. As a teenager I canned strawberries at the current site of the Pavilion. I remember the first stop light being installed and of course the first McDonald’s where “Crazy Eric’s Hamburgers” once stood. Customer Service is in the genes! My grandfather was a Swedish immigrant who was involved in the startup of the Island “Mosquito” ferry boat system which got Islanders where and when they needed to go! My father served the Real Estate needs of Islanders since 1953 until he retired in 2010. Would you like to hear some stories? I have been serving customers most of my post schooling life. After graduating from Santa Clara University with a degree in Business Marketing my career has included 20 years with Nordstrom and 16 years in the Real Estate Profession. 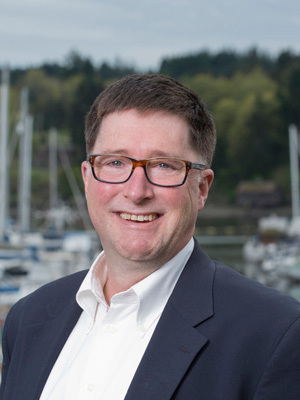 As you embark on your defining journey of either buying or selling a home I look forward to serving you with my knowledge and expertise of Bainbridge Island and Customer Service. My husband and I decided to make Bainbridge Island our home in 1993. Having been here now over 20 years, can we now call ourselves locals? Regardless, we certainly love this Island and its surrounds as much as anyone. 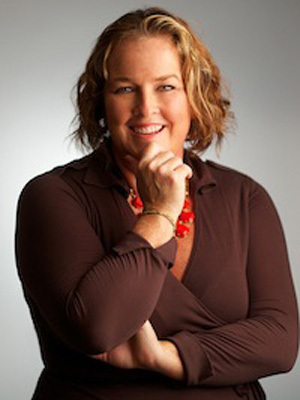 Having spent 10 years in the corporate world Buying and Selling Pulp, 14 years as Founder and Lead Interior Designer at Indigo Architecture & Interiors, 6 years as a Licensed Real Estate Broker, 3 years as an Executive Recruiter, I have the unique ability to combine strong business principles with an innate sense of design. 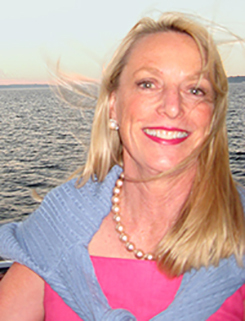 Real Estate on Bainbridge Island is a practice in art. It is not a cookie cutter community. Finding the perfect match between Buyer and Seller, Investor and Property is a combination of checking off the boxes that include quantitative needs and understanding what makes a beautiful life. When that connection manifests itself into a closed transaction and dreams become reality, I find it intensely satisfying.